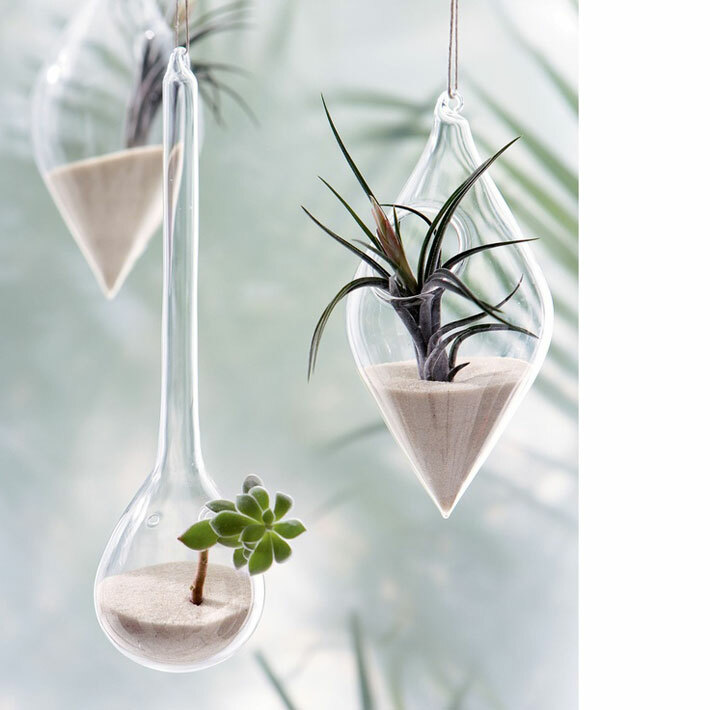 Create a garden in just a sliver of space! You probably never realized you had room for a garden here: indoors on a windowsill with eastern or southern exposure. 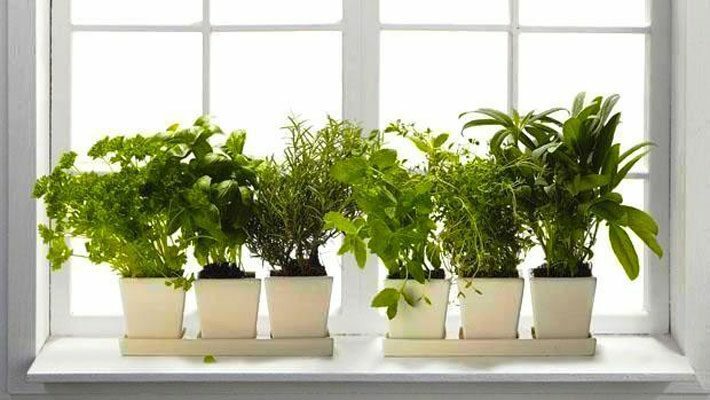 Check out our tips on creating both a windowsill herb garden and a windowsill vegetable garden, including more plants that grow well in a sunny window. Start a windowsill garden by taking cuttings from some of your favorite indoor and outdoor plants and rooting them in water. Use pruners or a sharp knife to cut a 3- or 4-inch stem; strip off the bottom leaves and place the cut stem in a small container of water. If you like, choose colorful containers and set them on a windowsill for a pretty effect. Although it doesn’t suit every plant, rooting plants in water is the easiest propagation method. Change the water in the containers weekly because stale water turns cloudy and detracts from the attractiveness of the arrangement. More important, bacteria may develop and create an unhealthy medium for the plants. Enjoy the cuttings during the winter months, then transplant them into containers and set them outdoors for the summer. Most plants thrive only a limited time without soil in which to spread their roots. When you transplant rooted cuttings into potting mix, remember that the roots they form in water are finer and more fragile than the ones they develop in soil. For at least a week after transplanting, keep the potting mix moist to avoid shocking the plants and to allow new roots a chance to grow. 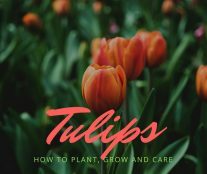 However, cuttings that are rooted in soil should be watered once when they’re placed in a pot of soil to begin developing, and not again until the soil is almost dry. Start with the right container. 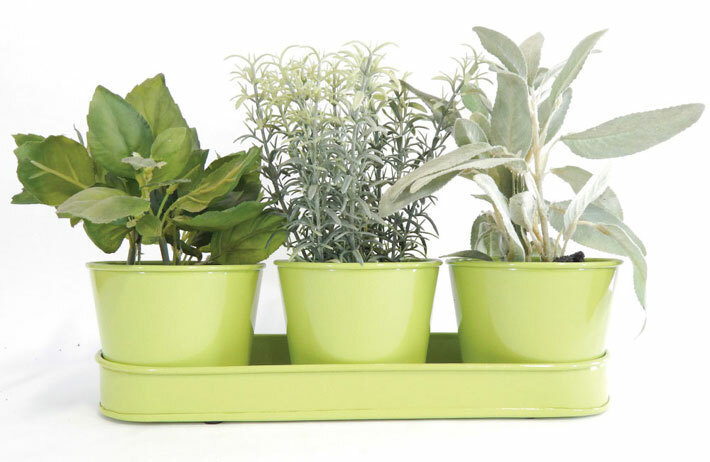 If you choose a pot that is too small, your herbs won’t like it. Too big, and it won’t fit on a windowsill. Find a container about 4 inches deep and as wide as your sill will allow. Plenty of cute, clever containers can dress up your kitchen. (Be careful: Glazed ones may prevent evaporation, leading to soggy roots.) Consider painting terra-cotta pots with chalkboard paint, then writing the herb names on the sides. Another trick: Add stakes so you know what’s what. If you repurpose something else—say, a vintage tin—make sure it has a drainage hole and a saucer to catch excess water. That’s a must. Next add herbs. 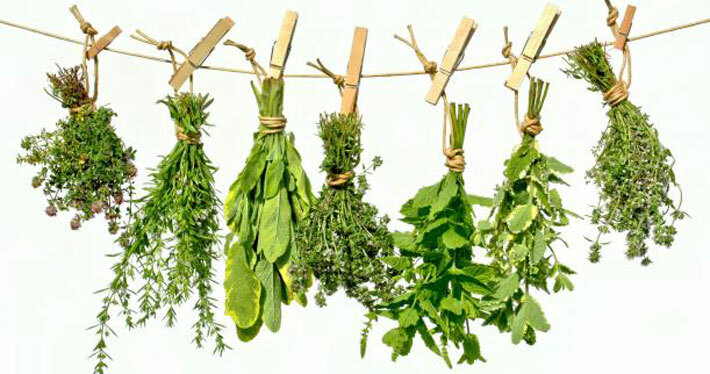 Most herbs are super easy to start. You can cut a branch from an outside plant and stick it in potting soil. 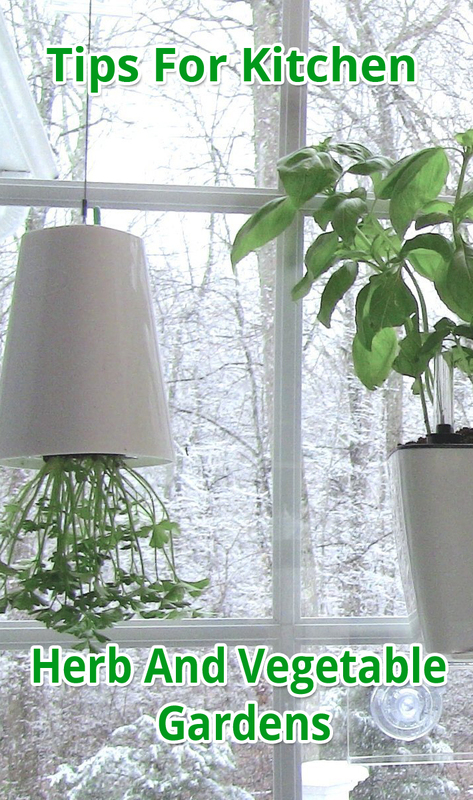 You can buy seeds—although you’ll wait longer for finished herbs. Or you can purchase small seedlings. Mix in a little sunshine. Outside, you have to carefully consider whether plants like sun or shade. 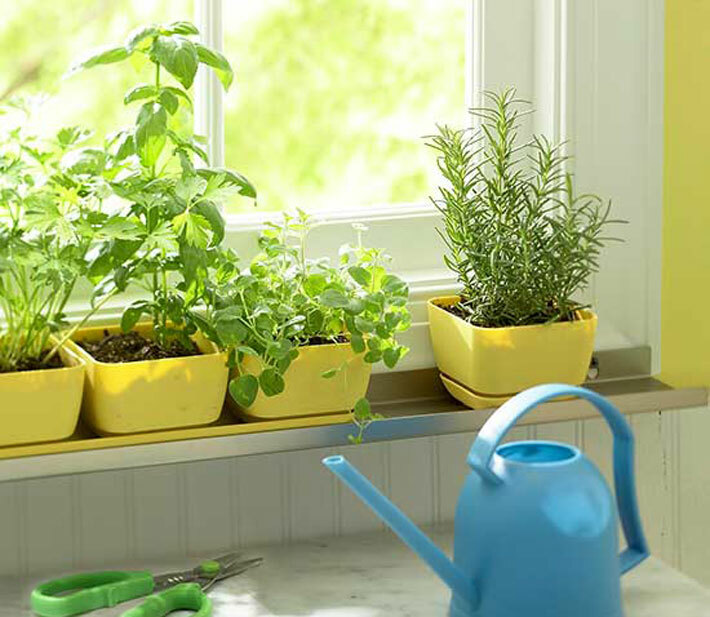 Inside, with herbs, all you really need is a happy, healthy dose of sunshine from a windowsill (south-facing is best). Look for a spot with about six hours of good rays. 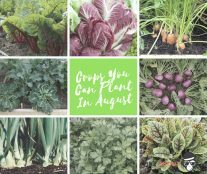 You’ll also need soilless potting mix, and you may need to fertilize every other month. Vegetables require at least six hours of sun daily. You’ll need a few sunny windows or artificial lighting to do the trick. Make decorative arrangements. Combine different crops in one container. Plant red- and green-leaf lettuce together, for example, or edge a container holding a patio tomato with leaf lettuce and radishes. Fertilize vegetables every two weeks. Water to keep the soil evenly moist, especially when plants begin to flower and produce fruit. Help fruit production by lightly brushing plants with your hand to spread pollen as they bloom. 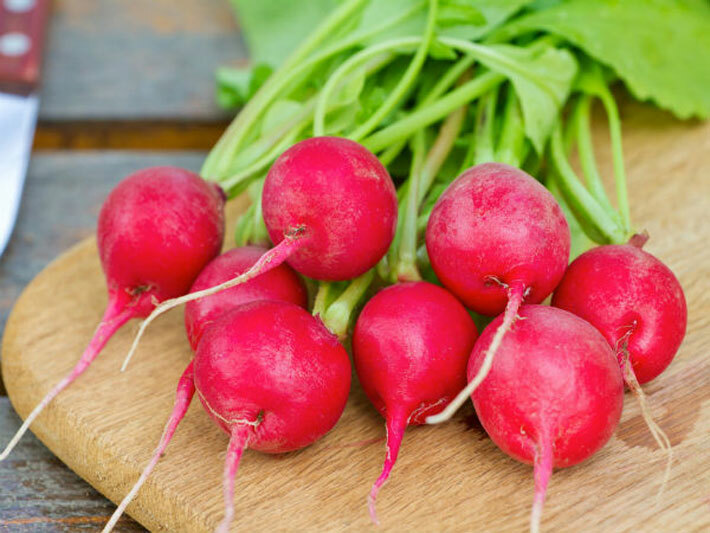 Grow these vegetables inside: bush beans, bush tomatoes, carrots, cherry tomatoes, cucumbers, loose-leaf lettuce, patio tomatoes, peas, pole beans, radishes, scallions, and spinach.